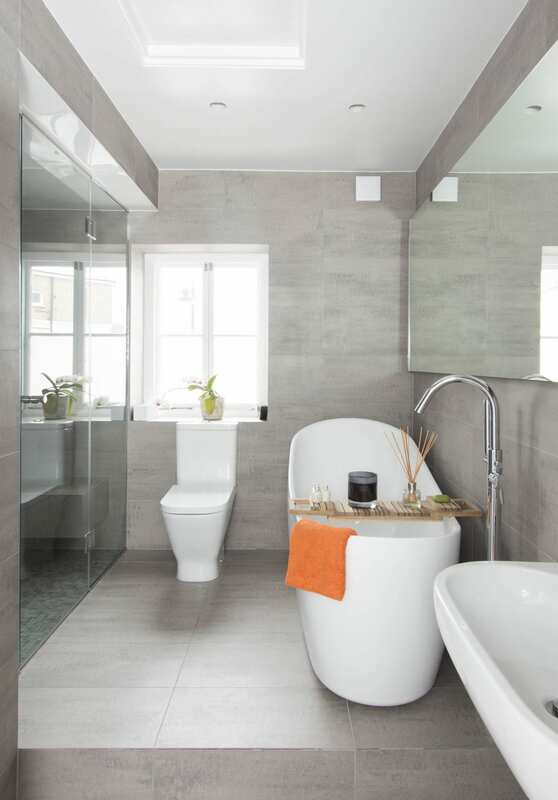 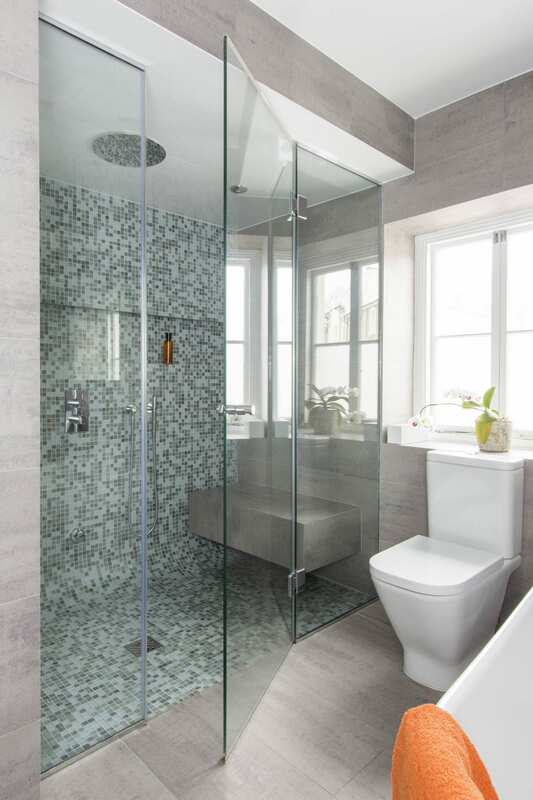 For this project, we transformed a small bathroom into a spacious, contemporary space our clients could enjoy. To create more space, we knocked down the left-hand wall and extended into the bedroom. 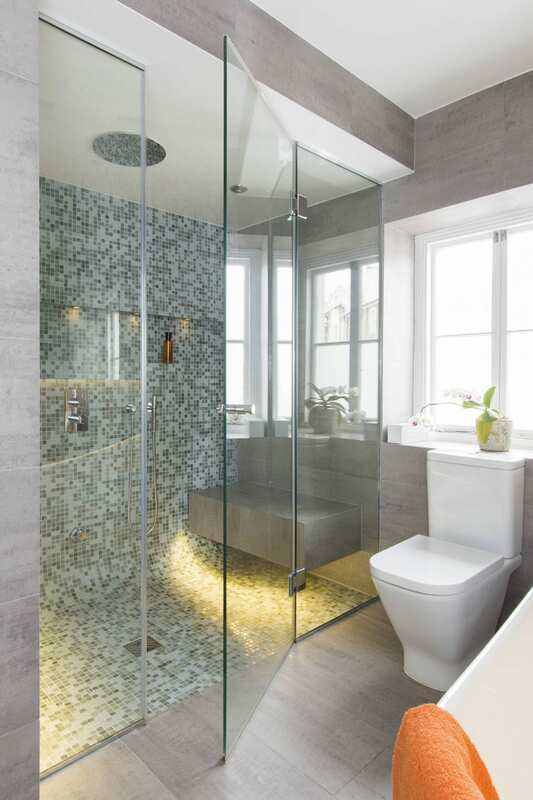 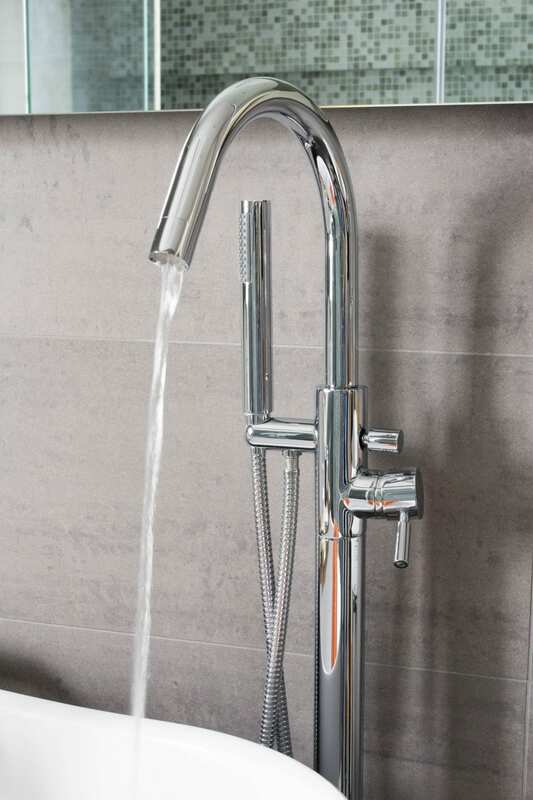 This enabled us to create an indulgent walk-in steam shower with a spa-like feel. 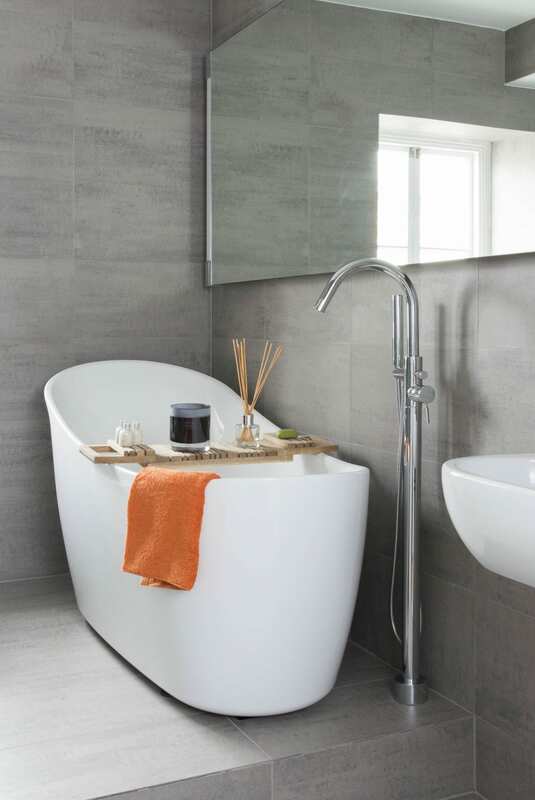 A freestanding bath with a floor-standing spout adds to the relaxing feel of the space and gives it a touch of luxury. 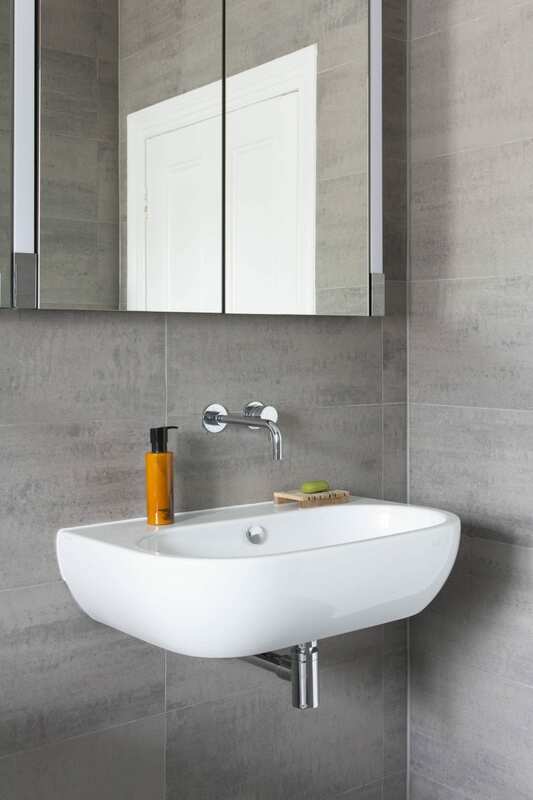 The grey porcelain tiles on the walls and floor create a well-balanced space, while the large mirror that runs along the length of the wall reflects light, making the room feel more spacious.